PIZZA HUT GOLDEN CRUNCH PAN PIZZA, THE CLASSIC PAN PIZZA WITH A PUNCH! The classic pan pizza which has made Pizza Hut famous and loved all over the world just got better with the new Golden Crunch Pan Pizza, featuring a crunchier crust and abundance of toppings. 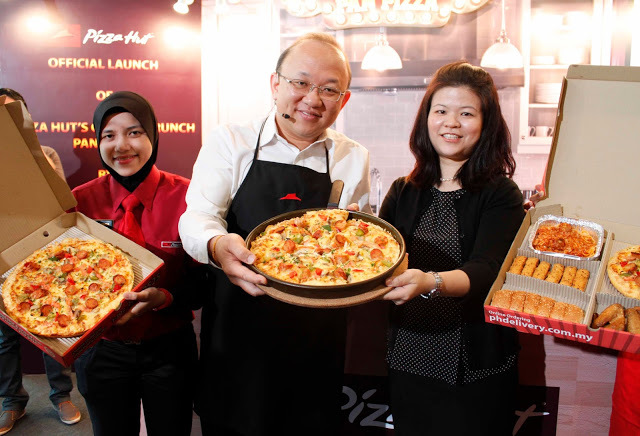 With the tagline “Parmesan Cheese Crust – Taste the Crunch”, the crust is crispy on the outside and fluffy … [Read more...] about PIZZA HUT GOLDEN CRUNCH PAN PIZZA, THE CLASSIC PAN PIZZA WITH A PUNCH!